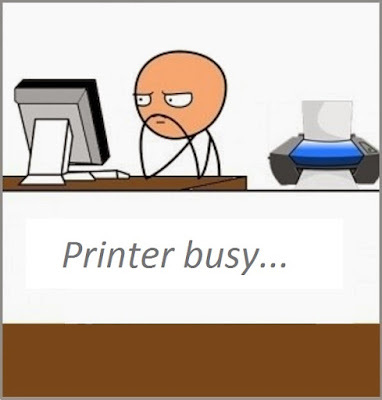 How to solve the error of busy printer, follow the steps below to solve your problem. When you see this error means that the printer is receiving, processing, or printing a document, although we do not know that it is, is when it becomes an error because we can not clear the error and need to print. The easy solution is to wait for the printer to finish the process you have and let us print, we're talking about 5 minutes. See also how to remove the print queue when the computer is not responding, remember you can post a comment, we are here to help.